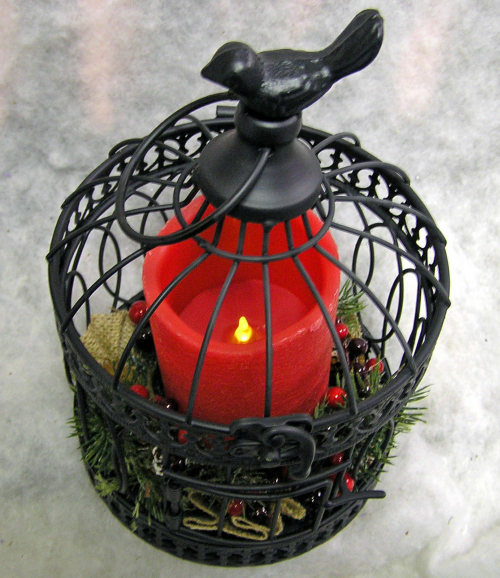 A black metal bird cage has a berry and greens garland inside with a red LED candle as part of this Manchester Cottage creation. The candle uses 3 AAA batteries and has a remote control. 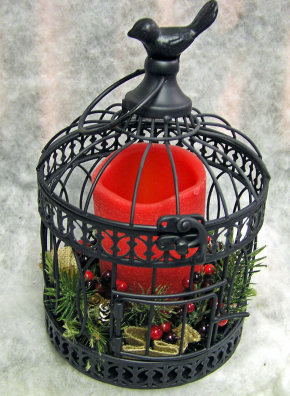 The remote makes turning on the candle in this bird cage convenient if you want to place it in hard to reach places. It measure 10 x 8 x 8. 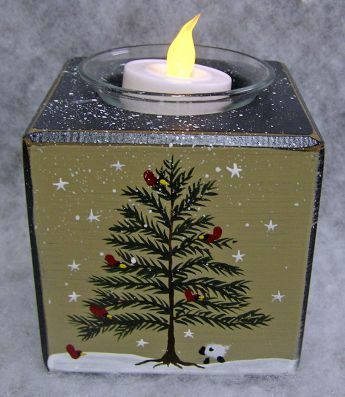 This Manchester Cottage original design is hand painted on a wooden box. 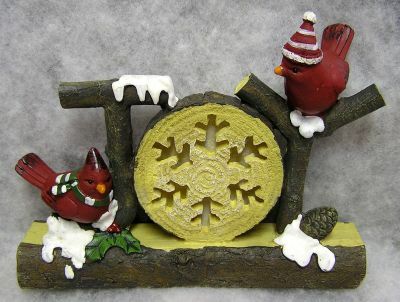 It features a pine tree, cardinals, stars, and a little sheep sitting under the tree. 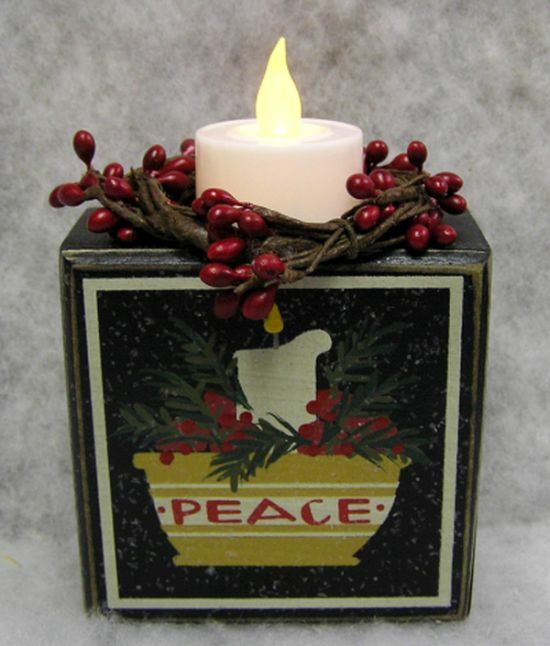 Also included is a glass votive holder and candle. 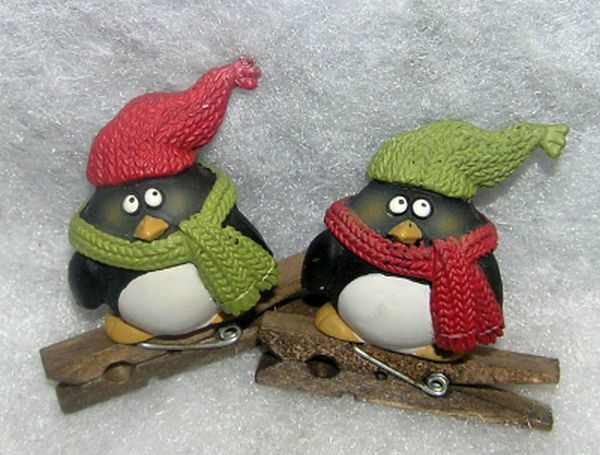 These adorable little resin penquins have knit look hats and scarves and are sitting on clips. 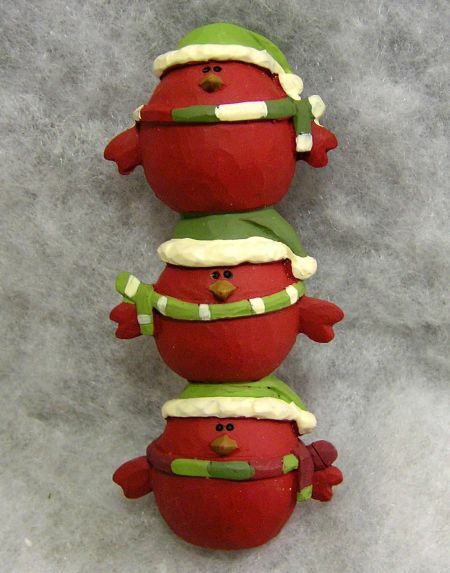 They come in two styles: Red Hat and Green Hat. They measure 2 x 2 x 1 1/4. These cute resin owls come in three styles: love, joy, and hope. They have hats, scarves and ear muffs. They measure 3 x 3 x 2 1/2. This rustic wooden shutter has a "Welcome" sign at the top. 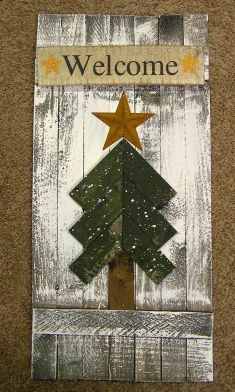 There is a green tree with a rusty star on the top. 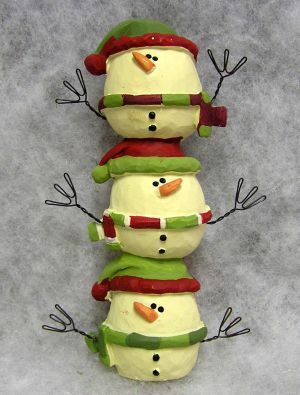 It can be personalized along the bottom. It measures 22 x 10 x 1. This resin stone is covered with leaves and berries. 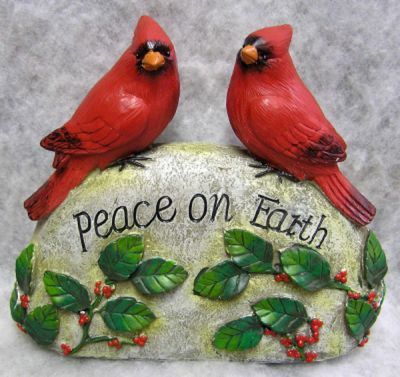 It has "Peace on Earth" engraved on the front and two cardinals sitting on the top. It measures 9 x 10 x 3. These wooden signs come in three styles: "Warm Winter Welcome" Snowmen, "Let It Snow" Snowman and "Let It Snow" Ice Skates. 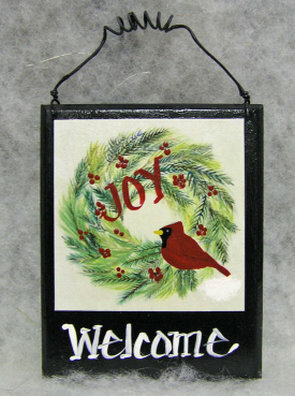 They have lots of details and a jute hanger. This unique wooden lantern has tree cutouts on all sides. There is an LED light inside that uses 3 AAA batteries and includes a remote control that can set the time, brightness, and mode of light. 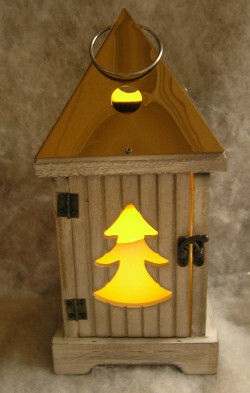 The roof is copper with a ring so that the lantern can be hanging or standing. 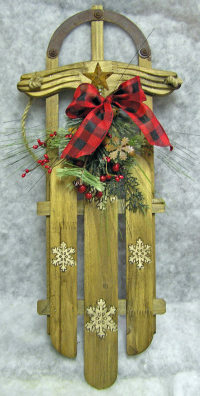 The door has metal hinges and a metal latch. It measures 11 x 5 x 5. 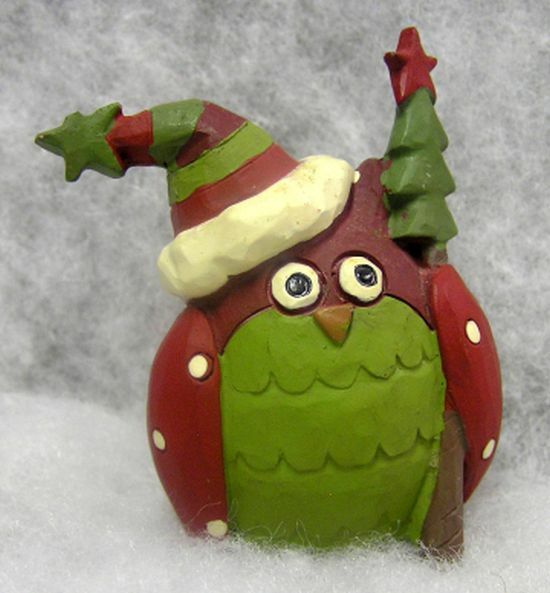 A striped snow hat with a star is sitting on top of this colorful resin owl. He is holding an evergreen tree. He measures 2 1/2 x 2 1/2 x 2. 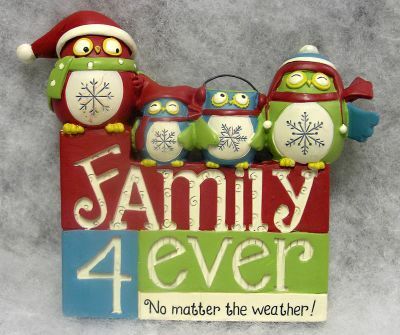 "Family 4 ever....No matter the weather!" is on the front of this resin item. There are four colorful owls sitting on the top and they have hats, scarves, and snowflakes on their bellies. This measures 4 1/2 x 5 x 1 1/2.